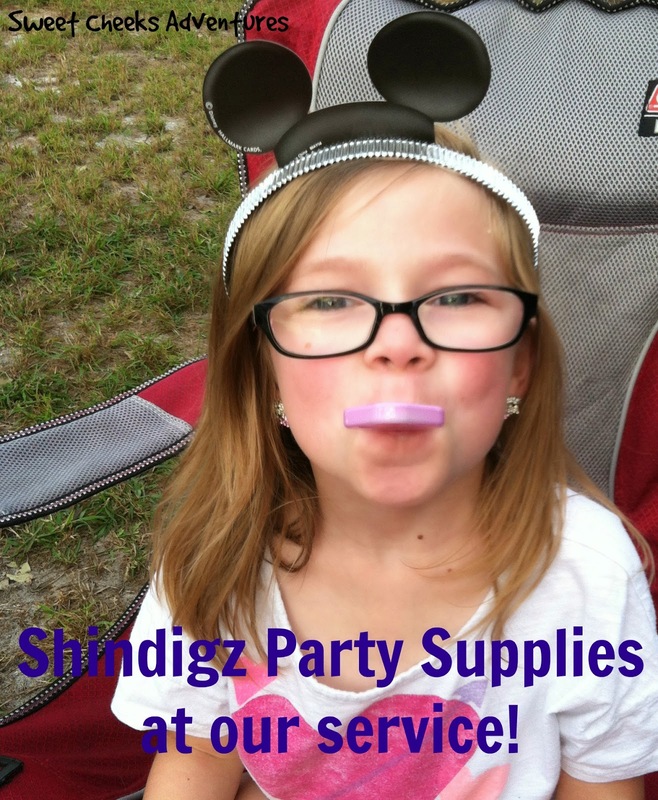 Sweet Cheeks Adventures: Shindigz Party Supplies at our Service! Shindigz Party Supplies at our Service! Disclosure: I received one or more products in this post in exchange of an honest review. All opinions are my own. A big hit I said! Each child in attendance had a pair of Mickey Ears. The site has may options for Mickey Ears, so be sure to check there if you're having a Mickey Mouse party or just want to summon your DisneySide! The food was a great hit! To compliment out delicious sandwiches, of course there were cups! I had them personalized to remind everyone why we were having the party. Ordering the personalization was super easy and I love how they turned out! What is a party without glitter tattoos? 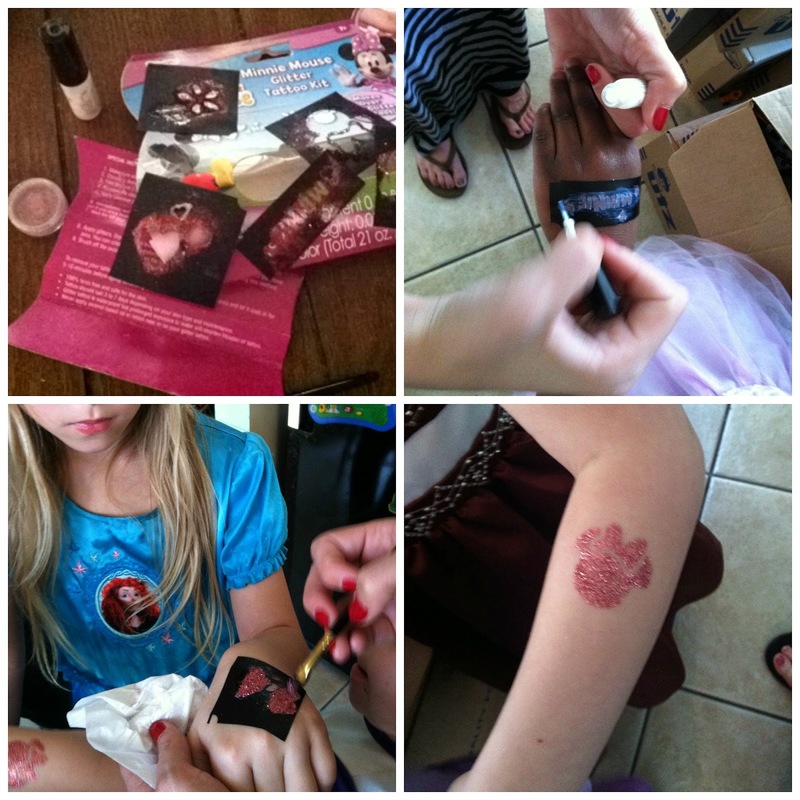 These girls had so much fun picking out which Minnie Mouse tattoo they wanted. Many of the girls came back for a 3rd tattoo before the party was over! To end the party, each child got a goodie box to take home! Special surprises awaited them! I felt like they were perfect for the age range that we had at the party, Some as young as 3 and as old as 6. A little something special for everyone! Shindigz is a great place to find everything you are looking for when planning a party! Look them up online, get your tableware personalized and party on!! This review is based strictly on my own opinion. Others may have different opinions or experiences with the products mentioned above. I was provided samples free of charge by the company or a PR Agency. I have provided my open and honest opinions. No other type of compensation was received for this review. You got some great party supplies. I will have to check them out when I start planning my next party. I would love to be able to do this for Bella's Birthday she is having a birthday party the weekend of the 27th this would be so fun to try with a bunch of girls. We have 2 birthdays coming up soon. One is my Granddaughter. I need to go check out and see what all they have to offer. Not sure what theme to go with. Oh how fun! My kids birthday parties are all on the way, this would be great! My littlest ones love Mickey! 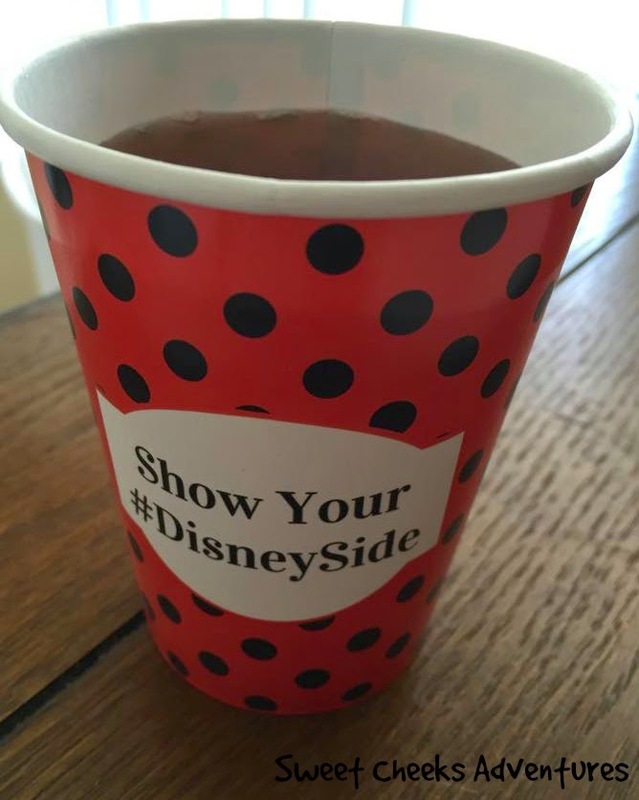 These are such awesome Disney party supplies, what a great service to have to make the party more lively! A Disney party would be so much fun. I'm glad I know Shindigz is such a great place to find party supplies! I'll have to check this out. I have a birthday party to plan soon. Wow. They have some really great products. My children will love this for future parties. You can never go wrong with a good party supply place. Looks like you've found one! That looks like a great place to get supplies for a kid's birthday party! And your kids seem excited too! We don't have a good party supply place around our house. We could use one of these nearby! We are getting a huge party supply store here soon. It should be open next month. I am excited to go see all the great products they have for our next party. What a cute party. I love party supply places that offer such a variety and cute products. Looks like it was enjoyed by the little ones too! This looks like an amazing party! I have always loved Minnie Mouse and still do as an adult!